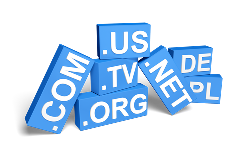 Domain name registration: This is one of the first steps in building your web presence. When you register your domain with Miservitodo, we will assist you in the process of choosing a name that will reflect your business’ identity. We will secure it and set it up for use. Web hosting: There are different types and levels of web hosting and this is determined by the type of website you own. 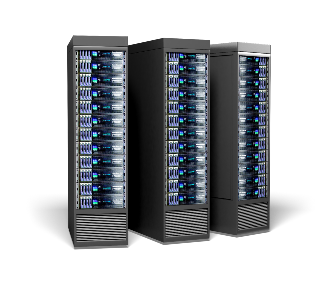 Our team will provide the hosting you need based on the needs of your site. 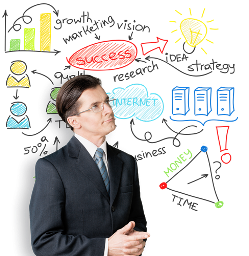 Content consulting: A key element of a successful website is, without a doubt, its content. Poor grammar and spelling, or tedious content draw people away. Our experienced marketing experts will be happy to assist you in this process. Professional translation: We want to make sure you reach your target market. If you wish to establish your online presence to a multi-lingual market, our team of translators will be happy to create your website content in any language you like. Call for details. Web photography: A picture is definitely worth 1000 words, and this applies perfectly when referring to web design. A professional website has to reflect superb quality in every aspect of it. Whether you require location or product photography, at Miservitodo our professionals will deliver a job of exceptional quality. To complement your website, we will register it with the following search engines: Google, Yahoo and MSN. In addition, we will send you quarterly performance stats. This is a valuable marketing tool that provides measurable results of your website’s traffic worldwide, nationwide and by region. Successful online presence is not limited to a website anymore. In order to increase your traffic you need to utilize every available tool that is out there. This includes social media, youtube and google+. We can customize a social media plan that fits the needs of your business and your budget. We can help you start and manage a Pay-Per-Click Google campaign that will instantly bring your target audience to your website. Website Maintenance Program: Having an outdated website is a mistake that can draw potential customers away from it and significantly reduce your traffic. On the other hand a website that maintains an up-to-date content is a powerful revenue generating tool. Current and potential customers are looking for fresh information; if your website is current, your sales and your traffic will increase dramatically. We understand that keeping your site up to date can be time consuming. For this reason we have developed our website maintenance program. It is a cost-effective feature and a great solution to keep your content current. Contact us for additional information.